Elements Applied: The commonly applied elements are bark, leaves, root and nuts. 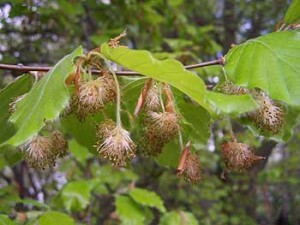 History: Beech was a plant of extensive usage in the early times of America. Local residents used it diluted in salty water for making a poison. Beech extract was widely used as a component in treatment for tuberculosis. The plant was applied externally for curing sores, ulcers, and burns. Internal beech application was recommended in case of liver, kidney and bladder diseases. Leaves and root, combined in a decoction, has been applied for treating dysentery, fevers, and diabetes. Nut oil is taken internally to eliminate bowel helminthes. Used For: The bark is applied as a remedy for diarrhea. It’s also known to produce an anti-septic effect. Additional Info: The plant grows high to over 100 feet. Its grey-colored bark is characterized by relative smoothness. Its leaves have a sharp form at the ends. The plant commonly blossoms in spring, for two months. As a result a fruit with a nut in form of triangle appears. Safety: In case of overdose beech may produce the symptoms of poisoning.